In the middle of the May, Red Deporte hosted a meeting of its partners of the European Sport ID Project in Madrid. Sport for Intercultural Dialogue (Sport ID) is the collaborative Partnership of the European organizations aiming to create awareness-raising activities for amateur athletes, coaches, trainers, educators who work in the particular fields of sports connected with solidarity and social inclusion. Red Deporte met with its partners in the accommodating environment of El Pardo near Madrid and discussed the progression if the implementation of the project. 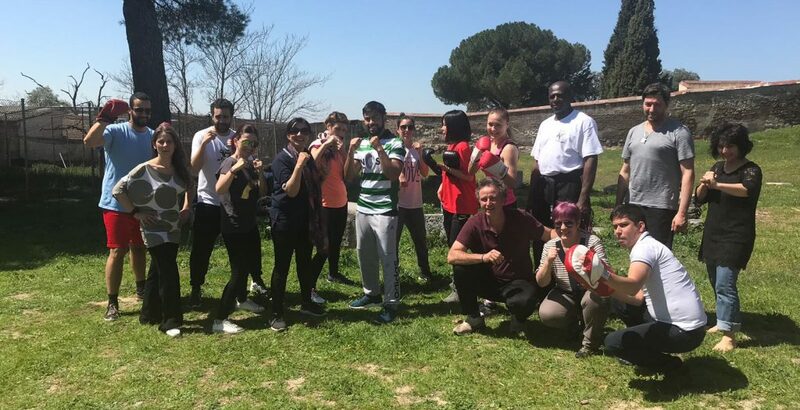 During the program, we also tried how it is to promote multi-cultural dialogue, unconventionally, through martial arts, namely Tai Chi and kickboxing. Sports and physical activity can be a powerful way to enhance intercultural dialogue, and struggle against discrimination and racism. Next month, Red Deporte will deliver to the public its own sports program enhancing multicultural dialogue to fulfil the expected outcomes of this project. Thanks to all our partners ONMIC Opera Nazionale Mutilati Invalidi Civili, ASINITAS ONLUS, COMMUNITY ACTION DACORUM, CENTRE FOR ADVANCEMENT OF RESEARCH AND DEVELOPMENT IN EDUCATION (CARDET), LEARNING CENTER FOR YOUTH (LCYOUTH), Sport Club Integra, 100% AVENTURA – ASSOCIAÇÃO DE DESPORTO E NATUREZA, PERSPECTIVES.